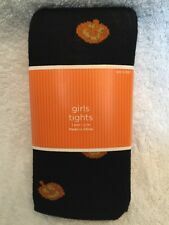 2 pair of Leggs Preteen Fishnet Tights. Size Preteen S/M. Design is Fishnet. Brand new with tags! Please email me with any questions, we are a smoke free home. Please check out my other auctions, I would love to combine shipping! Every item is wrapped up in tissue and sent with care. They are fresh, unused and untested. Sizes range from sample, travel, deluxe, mini and full sizes. Super soft. You will then be blocked from buying again. Size small (see second picture) 80% Cotton, 20% Nylon. 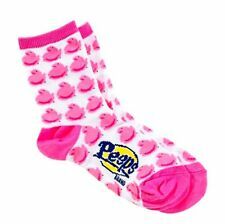 An adorable pair of super plush sherpa lined slipper Socks by Angry Birds. 2 Hue Ringlet Tights. Color: Ivory. Size Small / 4 - 6. Height 38" - 47" / Weight 36 - 54 lbs. 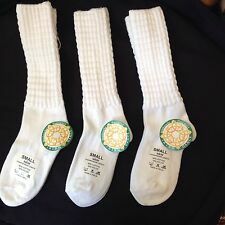 Girl's Fashion Ankle Socks. Fits sizes 11-13. STRIDE Rite. Cushioned Cotton-- No Shows! 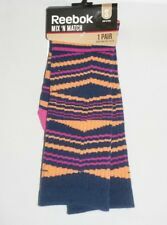 Reebok Girls Youth Athletic Striped Crew Socks. • Color: Multicolor Striped. • Youth Girl Size: Small. • Style/SKU ( MPN ): 81494. Machine Wash Cold, Only Non-Chlorine Bleach When Needed, Tumble Dry Low, Cool Iron If Desired. 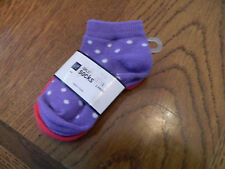 NWT Girl's TCK Long Top Candy Stripe Socks. 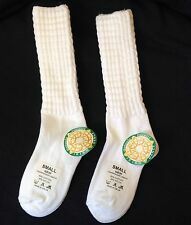 a pair of very nice socks. Color- White / Yellow / Navy.